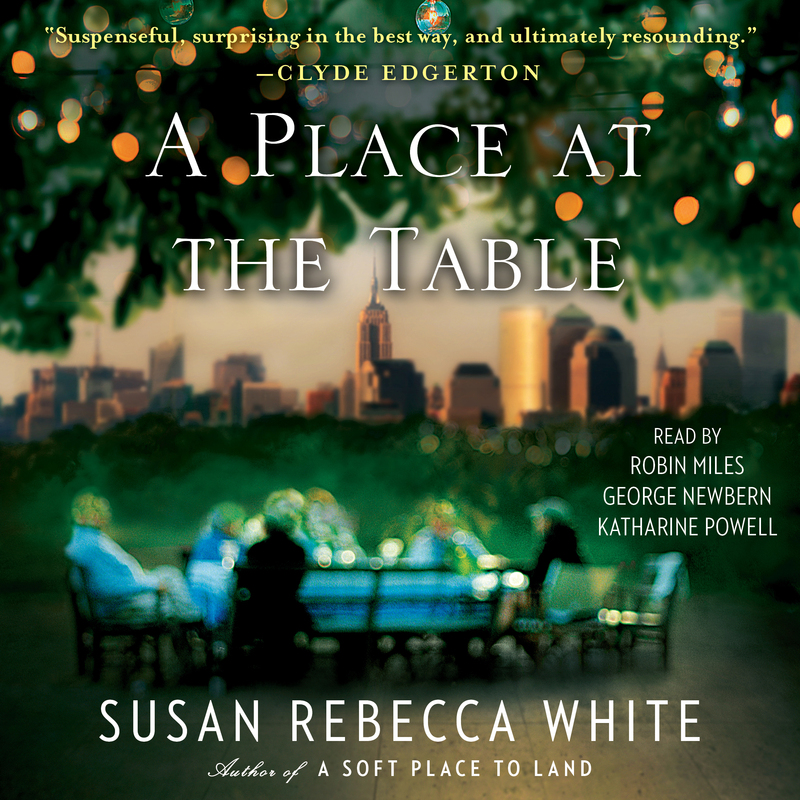 This reading group guide for A Place at the Table includes an introduction, discussion questions, ideas for enhancing your book club, and a Q&A with author Susan Rebecca White. The suggested questions are intended to help your reading group find new and interesting angles and topics for your discussion. We hope that these ideas will enrich your conversation and increase your enjoyment of the book. Spanning over sixty years and along the East Coast, A Place at the Table follows Alice Stone, an African-American chef who flees North Carolina in the 1930s; Bobby Banks, a Southern Baptist preacher’s gay son who moves to New York City just before the AIDS epidemic begins; and Amelia Brighton, a newly-single Connecticut mother of two who yearns to rediscover herself after a painful separation. While their backgrounds vary, each character becomes inextricably linked to Café Andres, a hole-in-the-wall Manhattan restaurant made famous by Alice’s cooking and its clientele. As Alice, Bobby, and Amelia persevere through personal struggles, broken hearts, and secrets, they ultimately discover the power food—and love—possesses to bring people together both within and beyond the kitchen. 1. In Alice’s prologue, language is a symbol of empowerment and oppression for her family, and her relatives both pride themselves in their ability to speak well and manipulate their speech to avoid social conflict. Are there other instances in A Place at the Table where language and speech are politicized in a similar way? 2. Alice, Bobby, and Amelia all escape to New York City from their hometowns in order to start over. Why do you think the author chose New York City as the uniting city? Would any other city work as well as a melting pot for the characters? 3. Who is your favorite character in the novel? Explain your answer. 4. Café Andres is loosely based on Café Nicholson, a historic Manhattan restaurant known for its clientele. Can you think of any other restaurants that you have either visited or heard of that are similar to Café Andres? 5. Cooking is practically a religious experience for Bobby. After he moves to New York City, it takes perfecting his cooking at Café Andres for him to start hearing God “knocking on [his] heart once again” and feeling a sense of home (p. 158). Why do you think cooking heals spiritual wounds that even the act of moving away from home cannot cure? Does Amelia have a similar experience with cooking? 6. In order to assimilate Bobby’s recipes into the Café Andres menu, he invents what he calls “stealth southern cuisine,” which is a combination of his Southern cooking background and the café’s French-inspired cuisine. What are some other hybrid food genres? What is your favorite food genre? 7. After Bobby’s “failed” first dinner with Alice and subsequent promotion, he describes the experience as one where “the universe delivered me a beautiful gift wrapped in hideous packaging” (p. 169). Does Bobby receive similar gifts at any other point in the novel? Could Bobby’s friendship with Alice after Sebastian’s death be considered such a gift? 8. Bobby struggles with religion throughout the story and is notably rejected from the Catholic communion. If you were Bobby, how would you have reacted to such a rejection? Do you think it’s possible for Bobby to resolve his issues with faith and religion? 9. In her discussion with Bobby about grief food, Alice says, “Cooking is the one thing that has never failed me” (p. 219). Is this true for other characters in the novel? Are there any infallible people? 10. There are many boundaries in A Place at the Table, from racial segregations to religious and sexual orientation differences. What cultural tension is the most harmful in the novel? Do these tensions still exist in today’s society? 11. Northern and Southern customs and manners are frequently at odds in A Place at the Table; these differences are partly responsible for Bobby’s awkwardness with Sebastian’s parents and Amelia’s struggles with her in-laws. Are these issues inevitable? Have you experienced similar demographic tensions? 12. A Place at the Table is filled with secrets and devastating revelations. What was the most shocking surprise? Did you foresee the final plot twist? 13. Discuss what you think is the book’s main takeaway message. If you could ask the author one question about the book, what would it be? 1. The art of cooking connects many of the characters in A Place at the Table. Bring your favorite recipe or cookbook to share with your reading group. 2. Feeling adventurous? Turn your book club meeting into its very own Café Andres! Have members prepare favorite dishes, bring tablecloths and silverware, and maybe dress up as their favorite historical Café Andres patron. Get creative! 3. Learn about the fact behind the fiction. Research the legendary Southern chef Edna Lewis and historic Café Nicholson that inspired the creation of Alice Stone and share your findings with your book club. 4. Learn more about author Susan Rebecca White. Visit her website: http://pages.simonandschuster.com/a-soft-place-to-land, and stop by her Twitter and Facebook pages. 5. Have a Susan Rebecca White reading challenge! Read her other two novels, Bound South and A Soft Place to Land and hold a separate conversation about all three books. 1. What was your primary inspiration for writing A Place at the Table? How did the story evolve during the writing process? After reading Scott Peacock and Edna Lewis’s wonderful cookbook, The Gift of Southern Cooking, I became particularly interested in Edna Lewis’s life story. I was especially interested in the allusions made in The Gift of Southern Cooking to her bohemian days as a chef in New York City. I found myself thinking and thinking about her early days of cooking at the Café Nicholson, and I wondered: What would it be like to be a black woman in the late 1940s who was simultaneously the chef at a lovely Manhattan café, but lived in an America where “separate but equal” was still the law of the land? What would it be like to have so much influence in one sphere (the restaurant), but to have to sit in the “colored” section of the train when you went home to visit family in the South? These questions started pricking at me, so much so that I wrote a scene about a black woman chef taking the Southern Crescent from Grand Central Station to North Carolina, to visit her mother. As soon as the train passes through DC, segregation is enforced. That scene never made it into the book, but writing it helped me begin to develop the character of Alice Stone. As for Bobby, I was, of course, inspired by the cross-generational, cross-racial friendship of Scott Peacock and Edna Lewis, but the character of Bobby himself was born from the stories several gay male friends of mine shared with me about growing up in the South. And Bobby’s perennial sense of dissonance, of always feeling caught between two worlds, mirrors my own fundamental predicament: I’m never quite sure where I belong. 2. A Place at the Table ranges from the 1920s to the 1990s. Why did you choose to set the novel in those decades? Did you ever consider setting the story in a more contemporary time period? 3. As a native Southerner, did you face any challenges setting parts of the novel in New York City and Connecticut? What was the most difficult part of writing about a different locale? What was the best part? I’ll begin with the second question: The best part was that in order to experience (albeit briefly) the daily life of a New Yorker, I sublet an apartment in Manhattan for four months. This coincided with my separating from my now ex-husband, so I was experiencing heartbreak at the same time as I was experiencing the exhilaration of living in the city. This helped me tap into Bobby’s mind frame when he first moved to New York, and was discovering himself while grieving the loss of his grandmother. I remember walking around Sutton Place one day, and being so aware of concrete everywhere, and missing the south deeply. I missed my front porch, and the noise of tree frogs at night, and grass and tall trees everywhere, not just in the parks. And in that moment I think I had a tiny insight into how, wonderful as New York City is, you give up a lot in order to live there. Especially southerners who were rooted to the land they left behind. I went to college “up north,” and have spent a lot of time in New York over the last twenty years. Still, the most difficult part of writing this book was the fear that I would get New York wrong, that I would seem a “yokel” to readers who know Manhattan better than I do. I calmed that fear by reading every book I could find about Manhattan, by immersing myself as best I could in the city while I was there, by being curious, and by reassuring myself that since I was writing about southern ex-pats, I did not need to know the city in the same way a born-and-bred New Yorker would. Rather, I needed to know it as someone new to its shores. 4. Café Andres is based on the real life historical Café Nicholson. How much research did you have to do on Café Nicholson and the history of New York City? What was the most interesting fact you learned from your research? I did so much research. Not just of Café Andres, but of New York in the late 1940s and the 1980s. And of post-Civil war history, including Reconstruction and the subsequent removal of Federal Troops in 1877, which led to Jim Crow laws being enforced, which kept African-Americans locked into second-class citizenship, which caused many to leave the South for safer lands as both Alice and James did. Sometimes I worried I was avoiding the writing by doing so much research, but I can’t think of a single book I regret having read in preparation for writing this novel. Probably the most interesting thing I did was to look through the Café Nicholson archives at NYU’s Fales Library. There were wonderful photos and magazine articles about the cafe, and matchbooks and menus. Those archives led me to Karl Bissinger’s book of photographs, The Luminous Years, which captures images from the café, as well as portraits of artists and intellectuals of post-World War II New York (and beyond.) One subtle thing I noticed in the photographs: Everyone smoked and everyone looked elegant. It made me nostalgic for a time I’ve never experienced. 5. A Place at the Table is told from multiple vantage points. How did you create separate narrative voices for Alice, Bobby, and Amelia? Are there any writing challenges unique to a multi-narrative story? Alice Stone is fundamentally a private woman, dignified and reserved. She shows her feelings through the food she cooks, and the stories she chooses to share of growing up in Emancipation Township. But Alice is not a “spiller.” She is not someone who is going to tell you her story outright. So I felt I needed to approach her from a more peripheral angle, to tell her opening story in the third person, and then let her life sort of speak for itself through Nicky’s and Bobby’s observations. And then as Bobby grows closer to Alice—as shown in the chapter “Communion”—Alice is able to open up to him and to reveal a more private side of her self. Bobby and Amelia are from such different worlds that I was not worried about their voices sounding too much alike. Probably the biggest challenge for me was letting Bobby grow up over the course of the novel. In his opening chapter he is such an innocent, such a wide-eyed little boy deeply involved in his tight-knit Southern Baptist community. He loses his innocence during adolescence, and then loses his naïveté once he moves to New York. I wanted the way he spoke to reflect the changes he makes throughout his life, and yet, I didn’t want him to lose the Bobby-ness of Bobby. I wanted him to retain his fundamental sweetness even as he became a sophisticated New Yorker. 6. Alice Stone and Café Andres are loosely based on real life counterparts. Did you base a character or characters on yourself? Are there other autobiographical elements to the story? The short answer is no. I wish I could write more directly about myself, but I struggle when I try to write nonfiction. I don’t think I’m objective enough. I make the mistake of thinking that every thing that happens to me is important, so I try to include all of the details, and I’m too close to my own story to recognize what can and should be cut. But I’m much more ruthless as a fiction writer. I have a greater capacity for allowing bad or hard things to happen to my characters, and I can cut a whole section with the touch of a delete key if I think it is weighing the text down. I am better at facilitating the stories of others. 7. Bobby initially describes Café Andres as a place where “everywhere you look there is an object taking up spaces” and where he has “the sudden desire to drink cocktails and lounge” (p. 126). Have you ever discovered a similar place? How closely do you think this description mirrors that of Café Nicholson? While I’ve never been to a restaurant quite like Café Andres, I do think that the best restaurants have transcendental qualities. A good restaurant is like a mini vacation: It transports you away from the messy details of your life (the dirty dishes in the sink, the bills that need to be paid, the neighbor you are trying to avoid) and allows you to have a brief but lovely choreographed experience of being made to feel special, both by being fed and treated well. My favorite restaurant in the world is Cakes & Ale in Decatur, Georgia. It’s a farm-to-table place, with a menu that rotates with the seasons. I have been known to sigh with pleasure while eating there. But the food is only one part of the experience. It also matters that it’s owned and run by a local Decatur couple that gives back to their community. It matters that Billy Allin, the chef-owner, is in the kitchen, cooking the food. It matters that Kristin Allin is at the door to meet you, and if not her, then the adorable William or Erin. It matters that all of Billy and Kristin’s employees are treated well, and that they in turn take pride in the restaurant, and genuinely love the food served and are excited to be sharing it with you. I always feel special when I walk in the doors of Cakes & Ale, and I think that is similar to how people felt eating at Café Andres in its heyday. 8. Serious social issues are presented throughout the novel, from racism to homophobia. If you could choose one message or lesson you’d like your readers to take from the novel, what would it be? Oh, wow. I get to be a preacher for a moment! Okay, here goes: If your theology asks you to (symbolically) sacrifice a group of people (gays, women, Muslims, Christians, Jews) on its altar, reconsider your beliefs. Don’t abandon God, but do consider that God’s bugle call might be to awaken us to reconciliation rather than embattlement. 9. A Place at the Table ends with a twist that reveals a surprising connection between Amelia and Alice. Did you have this ending in mind when you began writing, or did you consider alternative endings? I did not know the connection between Alice and Amelia when I began writing this book. In fact, Amelia did not exist as a character until I was about a year into writing A Place at the Table. And then she just sort of appeared on the page, and I was curious enough about her to keep writing, even though a part of me kept thinking, “Stop this. You need to get back to Bobby and Alice.” But it wasn’t long before I realized that Amelia’s story was connected to Alice’s. I just wasn’t sure how. I knew what James had done in order to survive, but I did not connect his story to Amelia’s until pretty late in the game. And then once I did make the connection I was scared to write it because I was afraid I might offend people, or get it wrong, or look ignorant in doing so. But I wrote it anyway, because it was the story that presented itself to me. 10. The novel features many cooking scenes, and each character has his or her secret tricks, such as Alice’s method of letting bread rise in the refrigerator. From your own cooking experiences, what is one of your favorite tricks of the trade? This isn’t a trick, exactly, but the most liberating thing I learned around cooking is that if you pay attention, if you trust your senses during the actual process, you will almost always create something that tastes good. Once you have some basic cooking skills down, you do not have to cling to recipes. The cookbook cannot tell you if those potatoes you’ve boiled for twenty minutes really are done or not. You’ve got to pierce them with a knife to see. The cookbook might not say to add lemon zest to the pound cake batter, but if lemon zest sounds yummy to you, go for it. Cooking is experiential, and sensual. Be engaged while you do it, and cook to please your own tastes, and you will make delicious things. 11. What’s next on your writing agenda? Do you have any other novels or projects currently in the works? I am in the nascent stage of working on a new novel that tracks a group of friends from their college years—which coincided with the Vietnam War—through their mid-fifties. Lots of stuff happens to them! 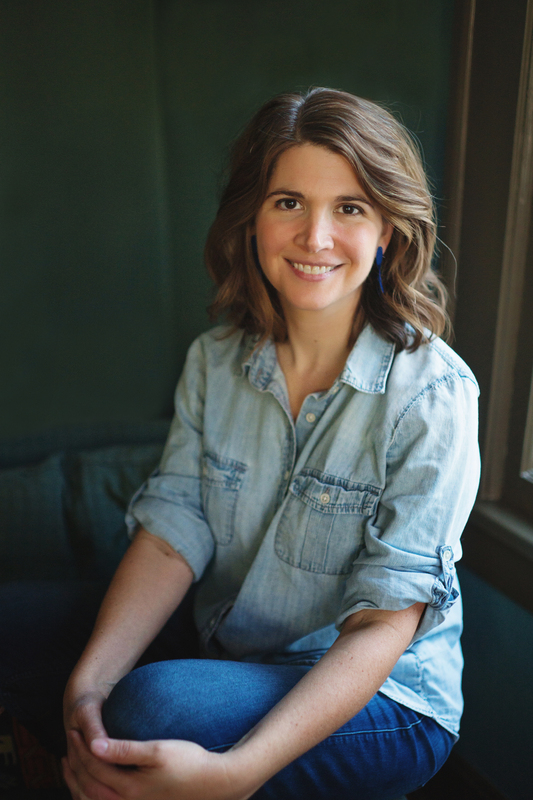 Susan Rebecca White is the author of three critically acclaimed novels, Bound South, A Soft Place to Land, and A Place at the Table. A graduate of Brown University and the MFA program at Hollins University, Susan has taught creative writing at Hollins, Emory, SCAD, and Mercer University, where she was the Ferrol A. Sams, Jr. Distinguished Chair of English Writer-in-Residence. An Atlanta native, Susan lives in Atlanta with her husband and son.